NTMSC is owned and operated by a skilled, knowledgeable motorcycle police officer with over 20 years motorcycle riding experience. Our mission is to provide students with a safe, fun learning environment. We hope that you learn to love to ride as much as we do. 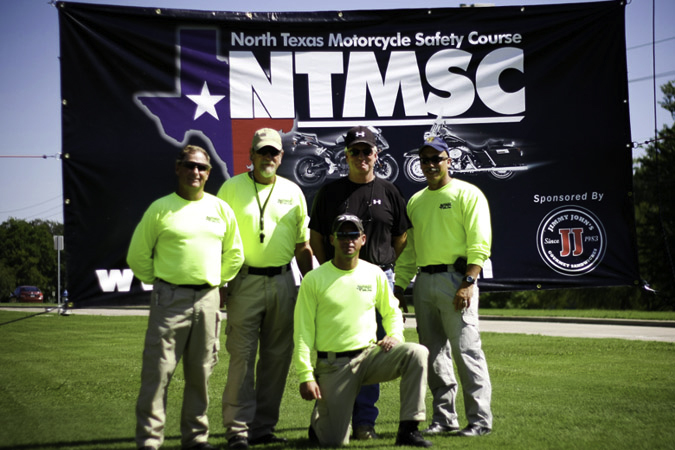 The instructors of NTMSC have many years of previous riding experience. Our instructors are all certified through the Motorcycle Safety Foundation and approved by Texas DPS to teach the provided training courses. All instructors have been trained to provide students with the approved curriculum and the necessary knowledge to learn to ride and operate a motorcycle safely.